Save money by booking a Behror travel package. Just pick your favorite options and Expedia will do the rest. Gain savings up to C$590* by booking a package deal on Expedia. Search through our international database of more than 400 partner airlines and 321,000 worldwide properties. Too many to select from? Don't worry — we'll help you decide! If you change your travel plans, we'll honor your cancellation request on almost all reservations with no added fees. Itinerary looking a little thin? Behror vacation all organized but don't know what you're going to do when you reach there? Let us guide you. Jal Mahal in Narnaul guarded its surrounds from attackers for many years. Venture to this imposing battlement and discover what went on behind its walls. You'll find lots to keep you occupied in and around this destination. If you're desperate for a bit of sunshine and a workout, wear your comfy shoes and walk up to the top of Dhosi Hill. Still got some time to spare? For an unforgettable experience, take a trip into the wider region and have some fun mountain biking. It's a hugely popular activity and a wonderful opportunity to see more of the wider area. Taking a trip to Behror? It'd be wise to book a room for your cheap vacation or luxury getaway in advance. There are only 2 properties currently available. Try the Treehouse Dwarka Hotel & Club (Dughera, Tehsil- Behror, Neemrana) and the Golden Tulip Neemrana (Nh8 Delhi-jaipur Highway). These highly-regarded accommodations not only come with cozy beds — they come with great reviews as well! The airport is seldom the most entertaining part of your getaway, but there's nothing like the excited thrill of knowing that your trip to Behror is just a flight away! Once you hit the tarmac at Indira Gandhi International Airport (DEL), you'll be 65 miles (105 km) from the center of town. Situated in Behror, this luxury palace is 0.1 mi (0.1 km) from Neemrana Fort and within 6 mi (10 km) of NIIT University and Rai University Behror. Rao Tula Ram Park and BMG Mall are also within 32 mi (52 km). 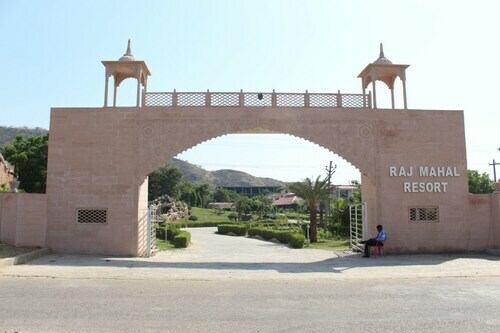 Located in Behror, this family-friendly hotel is 1.3 mi (2 km) from Rai University Behror, and within 9 mi (15 km) of NIIT University and Neemrana Fort. BMG Mall and Rao Tula Ram Park are also within 32 mi (52 km). 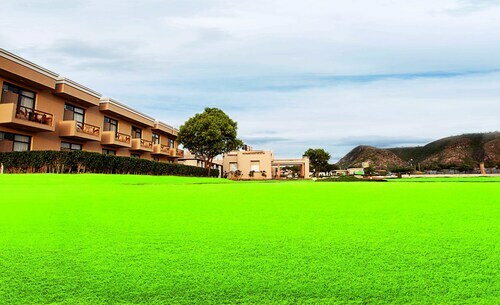 Located in Behror, this family-friendly hotel is 2.3 mi (3.6 km) from Rai University Behror, and within 6 mi (10 km) of NIIT University and Neemrana Fort. BMG Mall and Rao Tula Ram Park are also within 32 mi (52 km). 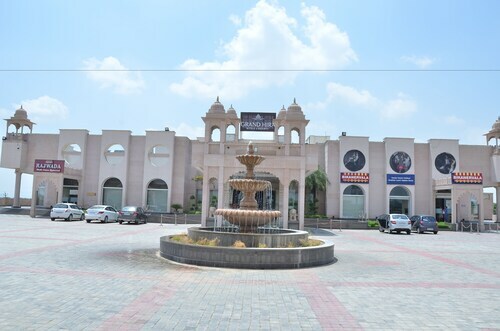 Situated in Behror, this spa hotel is 0.8 mi (1.2 km) from Neemrana Fort and 2.5 mi (4 km) from NIIT University. 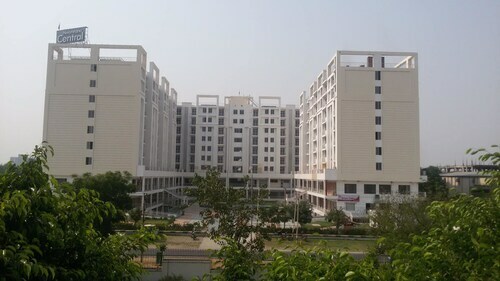 Rai University Behror is 4.8 mi (7.8 km) away. This family-friendly hotel is located in the historical district, close to NIIT University and Neemrana Fort. Area attractions also include Rai University Behror. Situated in Behror, this hotel is 2 mi (3.2 km) from Rai University Behror and within 6 mi (10 km) of NIIT University and Neemrana Fort. Jal Mahal in Narnaul and Rao Tula Ram Park are also within 32 mi (52 km). 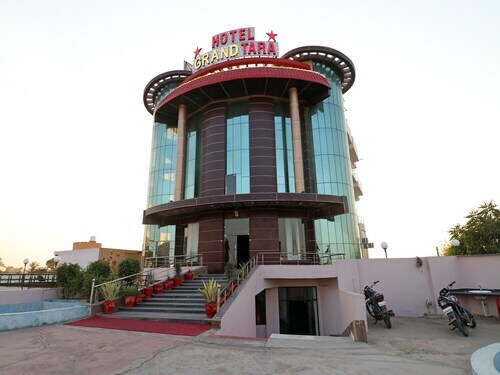 Situated in Behror, this hotel is 1.9 mi (3 km) from Rai University Behror and within 6 mi (10 km) of NIIT University and Neemrana Fort. Jal Mahal in Narnaul and Rao Tula Ram Park are also within 32 mi (52 km). Thu., 23 May - Sat., 12 Oct.
Wed., 22 May - Thu., 14 Nov. Tue., 14 Jan. - Tue., 11 Feb. Tue., 12 Nov. - Tue., 24 Dec.